We have something extra special planned for TEKDiveUSA.2018. 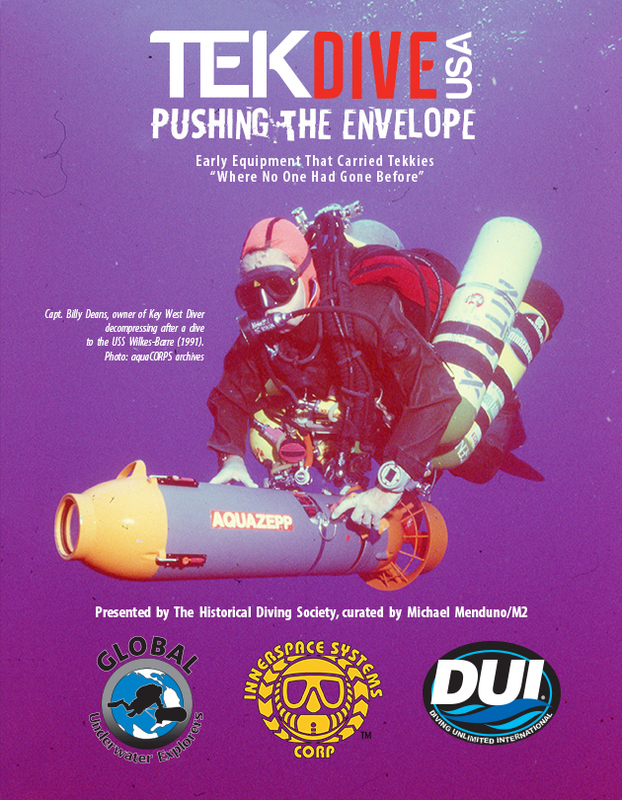 This year will feature an exhibit of techncial diving history with equipment from US divers who pushed the envelope. At its heart, the “Technical Diving Revolution” (1987-1996) was about our genomic disposition to explore coupled with emerging new technologies that enabled us to visit underwater realms not previously accessible by humans. These included mixed gas, decompression computing, high pressure cylinders, long distance diver propulsion vehicles (DPVs), decompression habitats and eventually closed circuit rebreathers. • One of famed cave explorer Sheck Exley’s favorite drysuits, an original Goodman Belly Bag (first cave diving BC, 1975) and a copy of Dr. X (Sheck’s decompression s/w). • Jarrod Jablonski’s Halcyon PVR-BASC (passive, variable-ratio, biased addition, semi-closed) rebreather aka “The Fridge” and Gavin ‘Zeus’ scooter used at WKPP expeditions. • Ed Uditis’s Electrolung Serial #10 and Farallon scooter and much more.